Here I sit on an early Sunday morning… I have just said goodbye to Mateo (Matt) who was by our side, serving for the last 4 months. Somehow, hugging him goodbye made leaving here more real for me. I have been dreading leaving but somehow I am coming to terms with it. These past few days have helped. On Friday we visited Ileana, Hector and their family. When we arrived they sat us immediately in their outdoor courtyard. Their son Samuel (16) appeared with a guitar and as a family they began to sing… songs of love, songs of friendship, songs of God. It was their gift to us…. it was so beautiful. There is no shame here in not being able to sing well or anything. You just put your heart into it and let go. As I sat listening, I thought of what it would take for my own family to do the same? Could you just break out a guitar and sing for people as a parting gift to them? The answer for our family is, no, we would buy them something. Some random trinket…. something that will be long forgotten after time…. This is so much more… something never to be forgotten and is etched in my heart forever. 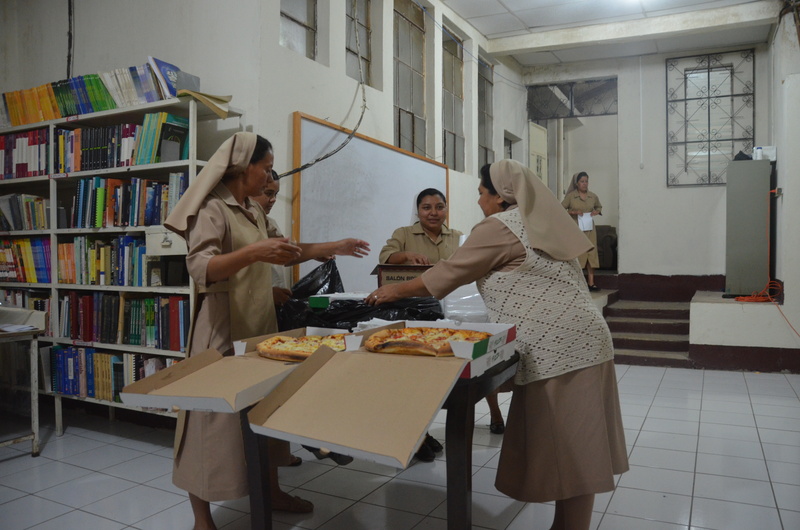 Last night was our ‘not goodbye’ party with the Hermana’s at the hospital. We arrived a bit early so Hermana Mercedes quickly ushered us into the dining room where we were not allowed to move so we didn’t spoil the surprises they had for us. 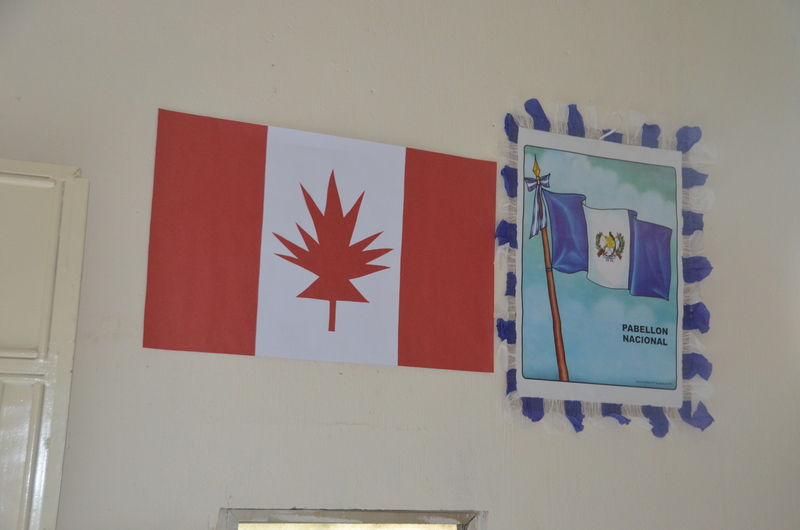 When it was time we were ushered into the formal classroom that had been transformed into a “Grand Fiesta” (Big Party) room complete with a homemade Canadian Flag poster on the wall attached to a homemade Guatemalan Flag poster in a sign of true solidarity! How wonderful! The night began, we were all asked to stand, they all put their hands over their hearts and began with a heartfelt Guatemalan Nation Anthem. It is a long one… but it brought tears to my eyes to hear it and watch them sing it with such heart and pride for their country. The night progressed with a beautiful hand made booklet of songs and prayers that we could follow along in for the evening. What a great keepsake! 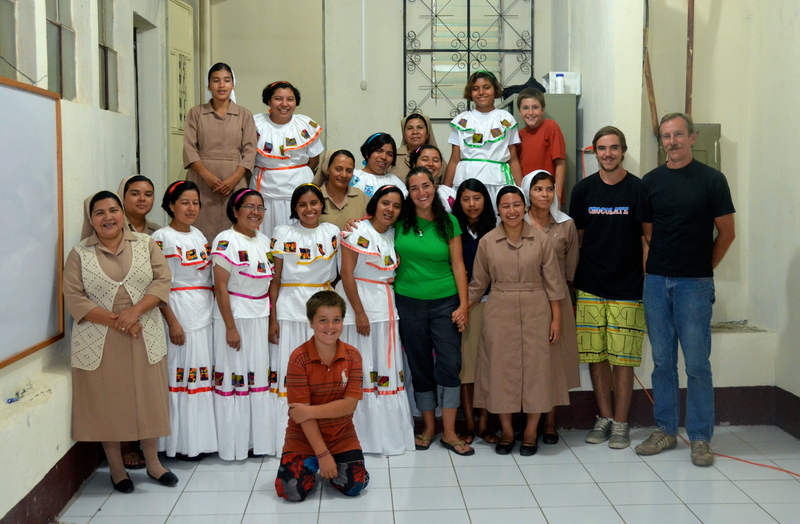 Groups of Hermana’s and Novitiates came out in turn singing different songs, doing traditional Guatemalan dances etc. So much fun. Then dinner arrived, PIZZA! This is a huge deal here. No one orders food in the hospital. NO ONE. There is not money for that…. but this was a very special occasion and was treated as such. There were even 2 large Chocolate cakes from Florencia bakery in Jalapa over an hour away. Hermana Mercedes remembered us mention that it was Zack’s favourite cake. How special. During dinner some disappeared to get ready for the Grand Sopresa (big surprise). As we sat and waited we were all curious as to what was in store. 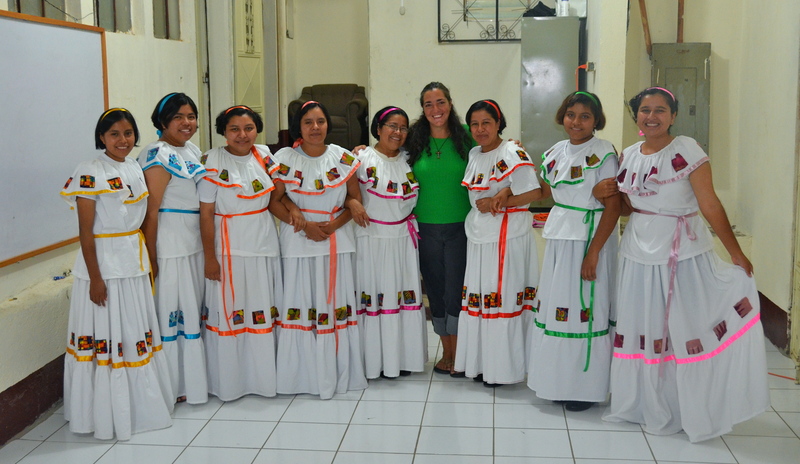 When they came out, they were dressed in these beautiful handmade, traditional white skirts and blouses. They explained that they made them in secret with the sewing machine that my in-laws, Leny & Bill had bought for them. They went on to explain that every time we walked in they had to hide them so the surprise wouldn’t be ruined… and that was a difficult task because we are always freely coming and going there. How difficult that must have been! But oh so worth it… they were so stunning!!! Crazy night… all we really said in response was thank you. Even Geoff couldn’t get too in depth before his voice cracked. I managed through tears to say that they are our family, and we will always be beside them…. doing everything we can to help them…. and that we love them… and that the people of Canada will never abandon them…. we will see to it. We are family… all of us… always…. After it was time to lighten the mood again…. 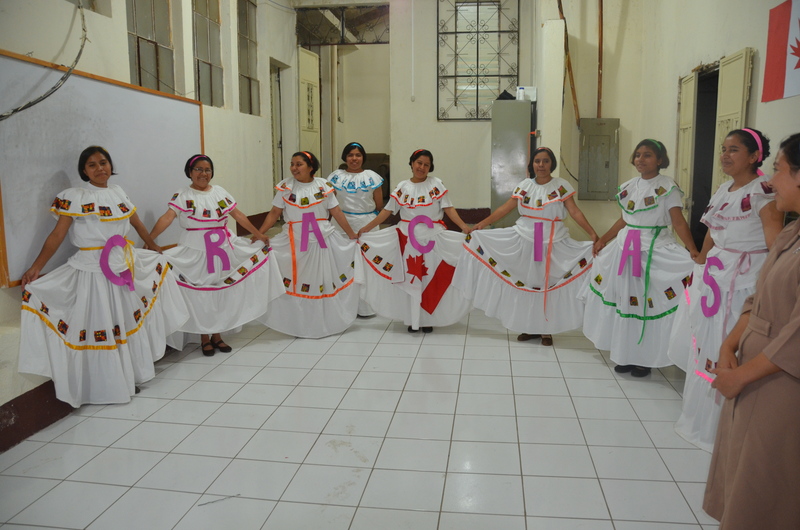 so they all did a beautiful dance and song just for me in honour of El Dia de la Madre (mothers day) that we will not be here for. Some of the novitiates call me “Mother Rita” so it was fitting. Yup, you guessed it, I cried again hahaha. During this they brought out an extra dress… for me and I was outfitted then pulled up on the floor to sing and dance with them. Definitely out of my comfort zone but I let go and had the time of my life. After a few wardrobe malfunctions where my skirt fell to the floor, lots of mis-steps in the dance, lots of singing and laughter, it was over. We left and they followed us to the gate as usual…. Screaming and waving our entire walk home from afar. If you have been here, you have experienced that goodbye and it is so fun and full of joy and laughter. It is so much better to give than to receive, but in giving you receive…. My dear friend Linda wrote on one of my pictures on facebook, “When you give love, you get love back”. So true. And I have gotten the best gift here… love…. There are many people here that I love and that love me and my family… and will forever…. I know they will pray for us… and love us all, no matter how far apart in the world we are…. that my friends is the best gift I could ever receive… they bring ME hope… and I know in my heart that our family will never stop trying to bring them hope… and help. So be prepared…. the Doppenberg’s are coming back to Canada… all filled up… and ready to fight for what we believe in…. Dios Quiere (God Willing) ….. Are you ready? 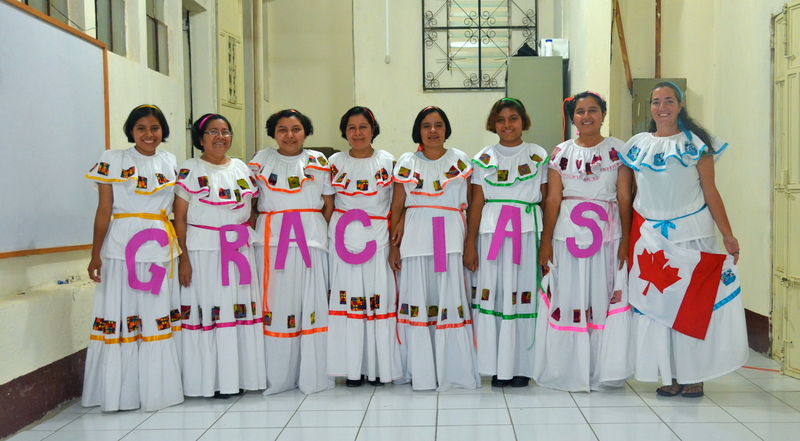 A heartfelt "Thank you" to all who help support this ministry through prayer, donations & love... "Gracias" from all of us! 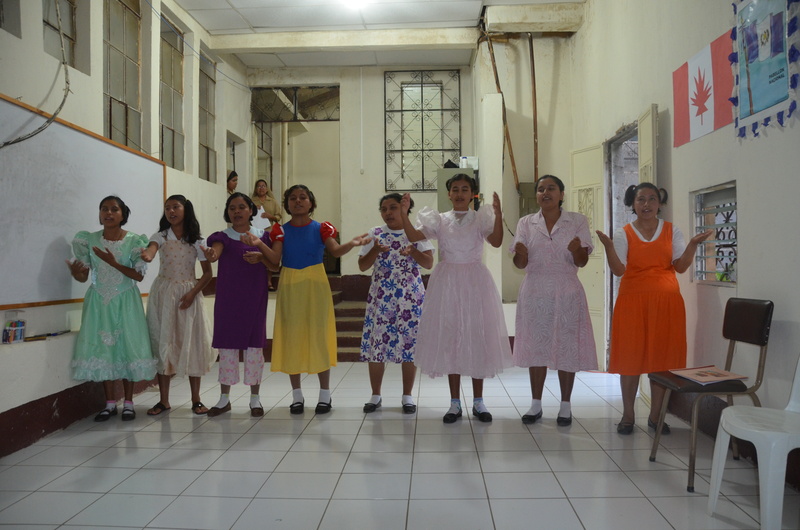 Posted on April 29, 2012, in Guatemala Missionary, Uncategorized and tagged celebrate life, friends, Guatemala, Hope, Malnutrition, mission, Missionary, Volunteers, World Impact, Youth. Bookmark the permalink. 5 Comments. *tears* :’ ) You are indeed blessed. You all are blessed…to be a blessing! with tears in my eyes, joy in my heart, and love for all of you i read this blog posting. you have a wonderful ‘family.! may the LORD bless you as you, as you have given much and received even more! 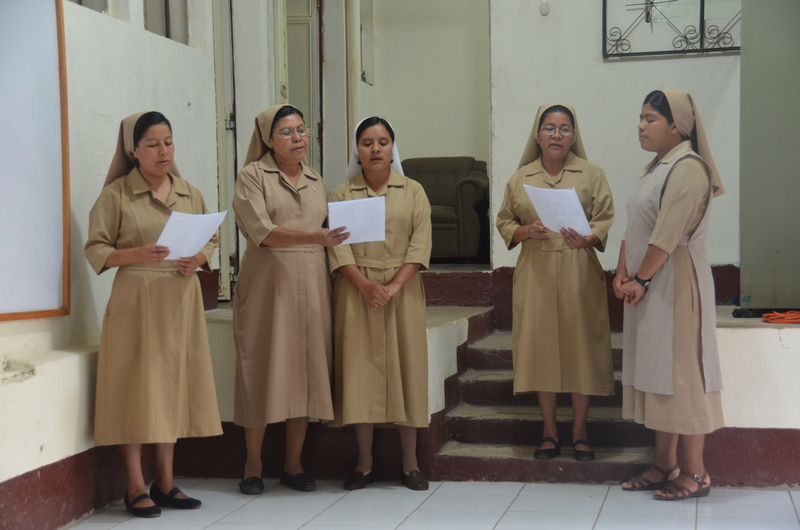 what a BLESSING you are to those you have ministered to…in Guatemala, AND in the rest of the world…by sharing your love stories! thank you. Dear Rita & Geoff, WOW I can hear the the singing and laughter echoing in the classroom, as if we were there…so vivid. These experiences are truly Heaven on earth. Glimpses of the greater Joy for you who work in His vineyard. Sure makes all the hardships lighter.